Real-time speech translator? A bit too Star Trek for you? Think again! Next month, Samsung will finally realise science fiction within the smartphone industry: real-time voice translation that makes sense! In an article on InfoWorld, Stephen Lawson explains all there is to know about the new Samsung Galaxy S4. At the end of May, this phone will be sold in 155 countries across the globe. The smartphone features a very special application: the S-Translator app. According to Samsung, this app is able to capture words in one language and reproduce them in another. Moreover, this occurs at conversation speed! At its first release, the app will support ten different languages. Software developers have been working on a translation device that translates spoken conversations in real time for many years. In 2008, networking giant Cisco already promised a translation system to be finished in 2009, but had to go back on this promise when creating such a system turned out the be much more difficult than expected. 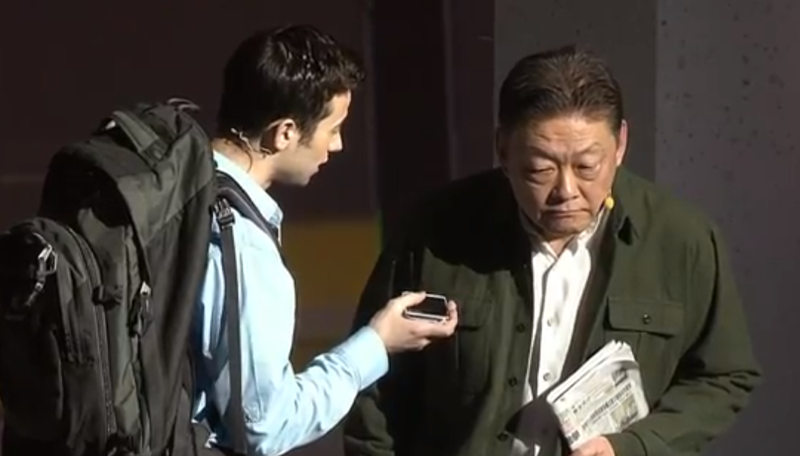 The S-Translator will be able to translate text messages, email messages and voices, but it’s main appeal lies in its ‘face-to-face scenarios.’ At the Galaxy S4 Launch, actors re-enacted a conversation between an American backpacker and a Chinese man. The backpacker spoke his question in the phone, which was then able to utter the sentence in Mandarin. In return, the Chinese man spoke a Chinese sentence which the mobile phone then converted into English. Developing a system that is able to translate conversations is very difficult as it involves three different processes. According to Ananth Snkar, engineer in Cisco’s Collaboration and Technology Group, speech has to be converted to text, those words then have to be translated correctly, and finally, this translation has to be translated back into speech. The main problem, Sankar says, is the way we talk to people. In conversations, we ‘um and ah,’ restart our sentences and correct ourselves, which means we do not speak as fluent to an individual as we do to an audience. The challenges of text translations are again completely different and vary per language as well, Sankar believes. Some of these challenges can be met by comparing large documents that have been translated by humans. However, Sankar says these are not available in all languages, so the accuracy of text translations can vary. According to Sankar, real-time translation is pretty accurate in the fields of business, technology, law and travel assistance. The translation and transcription of prepared speeches, for example, is now for 90 per cent accurate. Another misconception about translation systems is that translation can occur between all languages the system supports. This isn’t true: translation is only possible between certain language pairs. The S-Translator is able to translate English (either the UK or US version) into French, German, Italian, Latin-American Spanish, Brazilian Portuguese, Korean, Mandarin and Japanese. The last three can also be translated among themselves. Samsung has created its own translation software. There is one limitation to the system however: a data connection to an online translations server is needed for real-time interpretation. As the system is a perfect solution to find your way around a foreign country, this might be a problem. Dan Miller: ‘Unless they’re doing stuff locally on the device, a lot of companies are ignoring the fact that having a data connection can sometimes turn out to be pretty expensive.’ The free application Jibbigo is an exception to this: it does require a server, but users can buy offline translation modules as well. The S-Translation also has a number of certain useful phrases that can be accessed offline. Sankar and Miller both believe speech recognition and translation are steadily improving. Miller says this partly has to do with the fact that the current software ‘improves’ its translation skills with every translation it carries out. According to Sankar, Cisco even expects real-time translations of videoconferences to occur in the future. He does add that there are limitations to this; formal and prepared discussions between two participants might be required. Sankar: ‘We believe here at Cisco that there will come a day when we will be able to have a Web conference with somebody on the other side of the world, across language boundaries, in a very natural conversational and fluent style.’ Only downside to this? Sankar expects it will take five or ten more years for this day to come. Why do we care? Kwintessential offers translations for the Telecommunications and Technology sectors; as a result innovations in the translation sector mean consequences and developments for us and our business. Changes in technology mean a change in how people engage with technology to overcome translation challenges. Exciting times.